Never implemented since the SAFE Act’s passage in early 2013, a State Police database of all ammunition sales in New York will not go forward in the future, according to Senate Republicans. The arrangement, likewise, blocks implementation of a background check on ammunition purchases that also was never activated since the law’s passage. The Cuomo administration’s director of state operations, James Malatras, has signed a memorandum of understanding with State Senate Majority Leader John Flanagan to undo certain aspects of the New York SAFE Act gun control law … that pertain to ammunition sales. 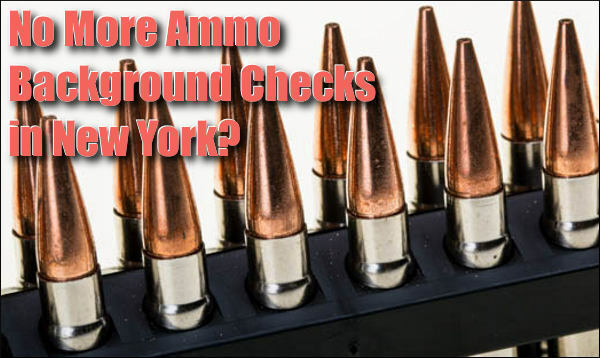 Share the post "New York News: No More Ammo Background Checks?"